FormAssembly is a software that enables companies and organizations to create web forms and collect data to make key business decisions. Being an enterprise-level solution, it is integrated with a large number of applications and is built to handle huge volumes of information. We compiled FormAssembly user reviews from around the web and determined that it has generally positive ratings. We also shared its available pricing options. Users who gave FormAssembly a positive review said that they liked the software’s point-and-click interface which allows anybody without any technical background to create forms and surveys. They also mentioned that the customer support staff is responsive and friendly. Users who gave FormAssembly a negative review noted that the software sometimes encounters glitches that can wipe out entire chunks of entries. They also cited that because it has such a robust platform, the learning curve for new users is steeper compared to other survey tools. One user who gave FormAssembly a positive review on Capterra said he likes that it has a very easy point-and-click interface to create and update forms. He also added that he is impressed with the customer service team, which was very responsive to inquiries via the site, email, and social media. One user who gave FormAssembly a negative review on G2 Crowd said there were times when the platform crashed and they had to start from scratch because all their work was erased. He also mentioned that it takes some time to get used to its many features. FormAssembly has four paid subscription plans: Professional ($99/month), Premier ($249/month), Enterprise Cloud ($599/month), and Compliance Cloud (customized pricing). The rates for Professional and Premier plans are discounted per month if paid annually, and both have a 14-day free trial period. Qualified nonprofit organizations are offered a 20% discount. The 10% discount for the annual Professional and Premier subscriptions can be combined with the 20% nonprofit discount. You may also contact customer support for a free demo. Check out the list below of some of FormAssembly’s features. How to Get Reviews on Amazon the Right Way – Customer feedback is important to improve your business operations, especially when you’re selling on Amazon. Read on to get ideas on how you can get reviews faster and maximize the positive reviews that drive product sales. What types of web forms am I allowed to create on FormAssembly? FormAssembly allows any kind of customized forms. 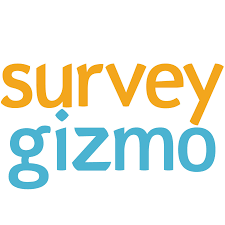 You can build survey questionnaires, client feedback form, simple contact forms, online registration forms, web order forms, and many more. Are there restrictions to the forms I am allowed to make? Yes. Forms that ask for sensitive information, such as passport or Social Security numbers, will automatically be disabled. You will need to contact customer support and undergo a thorough review process so the company can ensure that the form is used for appropriate and legitimate reasons. Does FormAssembly offer a free trial? Yes. You can sign up for a 14-day free trial without entering credit card details. They don’t issue a contract and you can cancel your account any time. If you are a Salesforce user, you can avail of a free, full-featured test drive of the software’s service. This video provides an overall background on what FormAssembly can do to help small and large businesses make important sales and marketing decisions. Not sure if FormAssembly is the right fit for you? 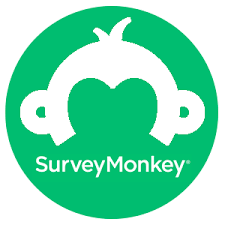 Read our reviews of all top survey software providers or check out one of these three FormAssembly competitors. Customer service is friendly and usually helpful. There is so much you can do with the forms and I feel like I’ve barely scratched the surface, like building formulas and calculated fields. One of the features that made me choose FormAssembly was their ability to add if/then logic into the connector to Salesforce for upserting records. You can also build formulas into the connector to clean your data before it enters your system. You can also map very easily to custom fields and objects. I love that you can also build formulas into the auto-notification. Since there is so much you can do with their forms, it can be a bit challenging to know where to start. The documentation is helpful but sometimes doesn’t cover a topic or give clear solutions. I would like to get notifications for failed form submissions. Their support can be a bit slow sometimes but I think this is due to their growth. They used to have chat support available very quickly but I rarely see it available lately. A bit more about some of the features. FA work very well with Salesforce (SF) integration. The connectors make it easy to update multiple SF Objects simultaneously. The forms build is very easy to use and saves a lot of time. There’s a lot of training and helpful resources provided on their website. Horrible support availability. Their chat support is more unavailable than they are available. I believe this is due to their growth. They have gotten too big too fast and now they don’t have enough support personnel. On that note, the support personnel are very new and are not always helpful. That the hold out on features based on the type of license you have with them. They make it easy to set up forms and sync the data to Salesforce. Could focus a bit more on making the more complex logic for questions easier to work with. Nothing. Knew it fairly well. It was recommended by a colleague. Makes it REALLY easy to create forms that sync with a lot of third party tools. You don’t have to be a developer and you can create forms whose data goes into salesforce. Sometimes there are more advanced formulas / customization I wish I could do but it doest have the ability. (Like that ability to have some complex if/else functiontionalty or to use values with text in formulas. Nothing specifically, really happy we got this tool.